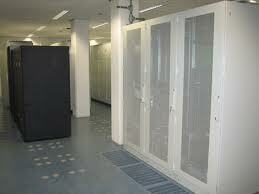 Web hosting is the foundation of our services. We offer rock solid web hosting on fast, modern equipment, while providing our clients an affordable way to bring their site to the Internet. With CyberPerks.Net, you are guaranteed that businesses with small or medium-sized sites will find support in every aspect of their on-line experience. In addition, we offer customized web site and software solutions tailored to your business' web site needs. Signing up is easy. Simply fill out our on-line form and you will be contacted shortly to set up your hosting account. Telecommunications Carrier-class facility regulated by and compliant with all Pennsylvania Public Utility Commission Regulations. Power, UPS - We have an Onan 50KW generator and an Onan 600amp automatic transfer switch. This system is also monitored 7x24x365 by the building management system. UPS is a 30KVA Liebert UPS with a 20 minute battery backup. This system is also monitored by the building management system 7x24x365. HVAC - have two 7 ton Trane rooftop air conditioning units. One is a backup for the other, which provides complete redundancy. The HVAC systems is controlled and monitored by the Trane Tracer Summit Building Management System 7x24x365. Fire suppression and detection (pictured) - Fike Intelascan suppression system, which uses FM 2000 as the gas agent. This system is also monitored 7x24x365 by the building management system. Security - 24x7x365 secure card access, Honeywell WSE 6000 card access and alarm system.